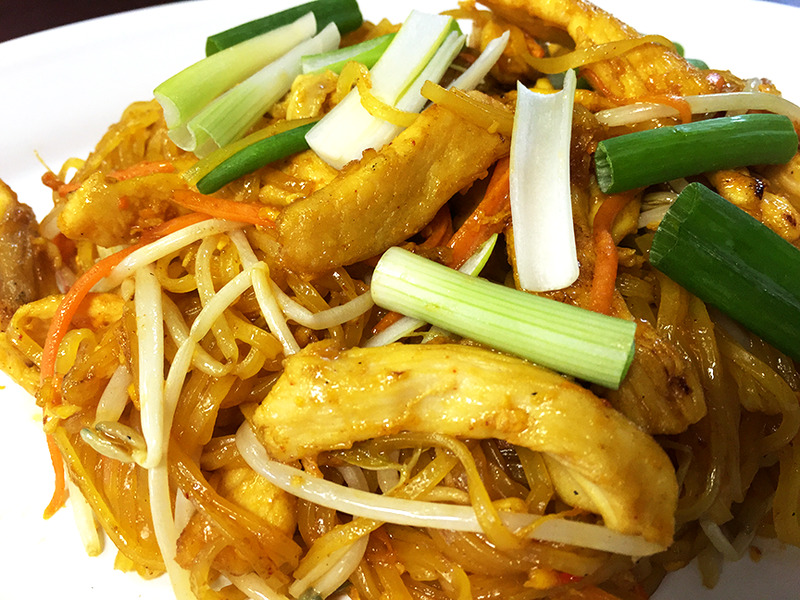 "Pad thai, literally "Thai style frying," is a Thai noodle dish made from stir fried rice noodles with ingredients including egg, peanuts,sprouts,and a choice of meat. It is one of the most well known Thai dishes. It has a lot of ingredients that come together in a symphony of hot, sweet, sour, and salty: the four cornerstones of Thai cuisine." Coconut, Lemon Grass, Lime , and all the healty herbs...with any meats of your choice. 5 pieces of awesome wanton wraps and veggies. Asian Fravors.